In the early morning, all the way from Toronto to the east. First arrive at one of Canada's most beautiful national parks, the San Lorenzo Island National Park, enjoy the stunning scenery on the Thousand Island Cruise, the villa of the millionaire, the world's shortest international bridge and so on. One of the most famous is the heart-shaped island where Boldt Castle is located. The legendary romantic love story is intoxicating. After lunch at Thousand Islands Wharf, head to Ottawa. First of all, I went to the National Art Museum. This famous art museum in North America with large bronze spiders as the coordinates, Asian art, European art, modern art, and Canada’s unique Inuit art made art lovers eye-opening and benefited. shallow. After visiting the National Art Museum, you can walk to see Parliament Hill yourself; the Church of Our Lady of Ottawa, the silver spire, makes this rustic church exceptionally unique; the Lido Canal; the National War Memorial; and Ottawa, with the exception of Capitol Hill, the most famous By ward Market, there are many specialty shops and restaurants in the market. Particularly worth mentioning is that there is an Obama cookie in Market Square, because Obama has visited here. Rest in the hotel after dinner. 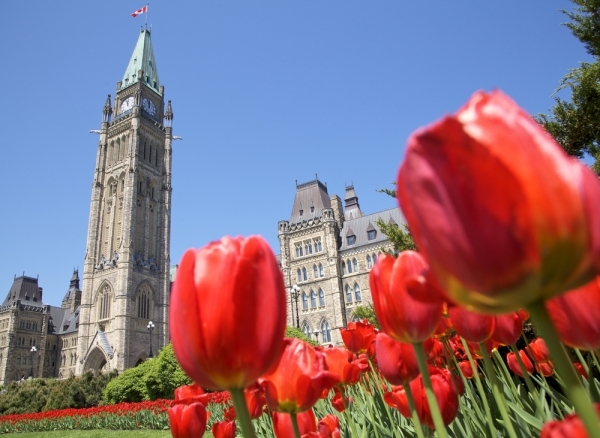 After breakfast, we will go to Parliament Hill Tulip Park to participate in the annual tulip event, dozens of varieties, hundreds of thousands of tulip flowers, colorful, arrogant fighting, listening to tour guides slowly describe the origin of this piece of flowers. Afterwards, take a cruise to explore the Ottawa River. From the boat, visit the Capitol Hill, the High Court, the Museum of Civilization, the Governor’s Mansion and other attractions from the boat. (If the cruise ship is not open due to seasonal reasons, you will visit the National Museum of Nature. This quaint Victorian The unique landscape of plants and animals and fossils in Canada are quietly erected in the building. After lunch, he returned to Toronto and took a rest after his former capital, Kingston. Return to Toronto in the evening. Including Transportation, Hotel . Service of experienced bilingual (Chinese / English) tour guide(s) who will accompany and guide the group during the tour. Not including Meals, Admissions, Tax and Tips. Tickets include Thousand Island Lake Cruises, National Gallery and Ottawa Cruises. * The schedule is always depend on the attraction opening time to fit on, sometimes the itinerary is not the exact route to go though with, itinerary change might be the necessary in that time. If you have a/c in RBC bank, this is the easiest way, no service charge. A/C Name(Last Name)：6416217 Canada Inc.
Option 3: In Any RBC Bank Branch. Even If you do not have any a/c in RBC bank, you may still go to any RBC branch Counter to make a deposit to us at no service charge. Call us immediately after you make the banking Transfer. you may go to your bank's website and use the serive of Interac E- Transfer (Previously called Email Money Transfer). call us immediately after you finish the transaction, notify your security question and answer to us. Paypal charge us high service charge , so plsease add 3% in addition to your tour cost. ★Space is limited, no holding spaces without payment, first pay, first serve! 3) Gratuities for the driver(s) and tourist guide(s). 4) Medical, life and luggage insurance of various kinds. 5) All other expenses that are entirely personal, such as fees incurred by telephone calls, laundry and Pay-TV etc. 6) Any other extra expense that is incurred due to reasons that are beyond the control of our company, such as traffic jam and delay, strike, disastrous weather (storm, flood etc. ), and cancellation or change of flight schedules and so forth.